devised as a weapon for defending his human dignity." 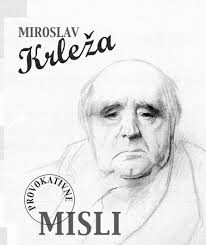 Miroslav Krleža was a leading Croatian writer and a prominent figure in cultural life of both Yugoslav states, the Kingdom (1918–1941) and the Socialist Republic (1945 until his death in 1981). A one time Vice President and General Secretary of the Yugoslav Academy of Sciences and Arts (JAZU), he has often been proclaimed the greatest Croatian writer of the 20th century and beyond. Miroslav Krleža was born in Zagreb, modern-day Croatia. He enrolled in a preparatory military school in Pécs, modern-day Hungary. At that time, Pécs and Zagreb were within the Austro-Hungarian Empire. Subsequently, he attended the Ludoviceum military academy at Budapest. He defected to Serbia in 1912 as a volunteer for the Serbian army, but was dismissed as a suspected spy. Upon his return to Croatia, he was demoted in the Austro-Hungarian army and sent as a common soldier to the Eastern front in World War I. In the post-World War I period Krleža established himself both as a major Modernist writer and politically controversial figure in Yugoslavia, a newly created country which encompassed South Slavic lands of the former Habsburg Empire and the kingdoms of Serbia and Montenegro. 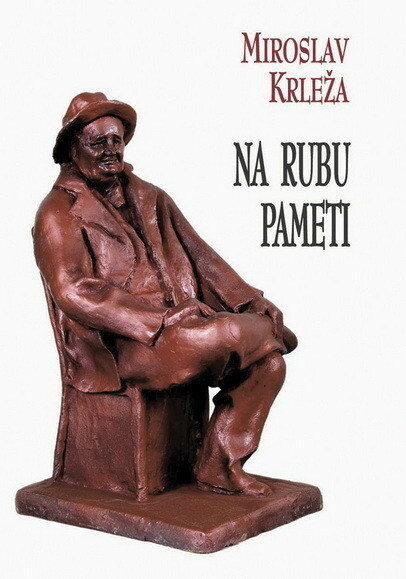 Krleža was the driving force behind leftist literary and political reviews Plamen (The Flame) (1919), Književna republika (Literary Republic) (1923–1927), Danas (Today) (1934) and Pečat (Seal) (1939–1940). He was a member of the Communist Party of Yugoslavia from 1918, expelled in 1939 because of his unorthodox views on art, his defense of artistic freedom against Socialist realist doctrine, and his unwillingness to give open support to Stalin's purges, after the long polemic now known as "the Conflict on the Literary Left", pursued by Krleža with virtually every important writer in the Kingdom of Yugoslavia, in the period between the two World Wars. The Party commissar sent to mediate between Krleža and other leftist and party journals was Josip Broz Tito. After the establishment of the pro-Nazi puppet Independent State of Croatia under Ante Pavelić, Krleža refused to join the Partisans now headed by Tito. It is believed that Krleža made that decision after learning of what happened to his associate August Cesarec in the Kerestinec prison incident, fearing possible revenge from his former Party colleagues. Krleža spent the war period in Zagreb, marginalized by the Nazi government as he refused their calls for cooperation. During these years he kept silent, not publishing at all nor making public appearances. 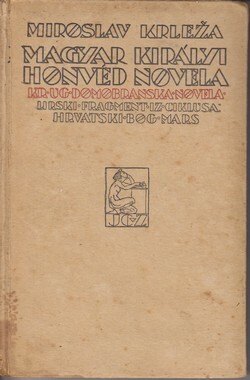 Following a brief period of social stigmatization after 1945 - during which he nevertheless became a very influential vice-president of the Yugoslav Academy of Science and Arts in Zagreb, while Croatia's principal state publishing house, Nakladni zavod Hrvatske, published his collected works - Krleža was rehabilitated after Yugoslavia's break-up with Stalin's USSR. His position on art and literature was even adopted as the official one. Still, Milovan Đilas publicly defended the party's pre-war position against Krleža, declaring that his magazine Pečat followed his revisionist principles. However, at Tito's intervention, "the Conflict of the Literary Left" was officially closed and Đilas' speech was regarded as merely his personal opinion, and was not published in the proceedings of the party's 1948 congress. Supported by Tito, in 1950 Krleža founded the Yugoslav Institute for Lexicography, holding the position as its head until his death. The institute would be posthumously named after him, and is now called the Miroslav Krleža Lexicographical Institute. From 1950 on, Krleža led a life of the high-profile writer and intellectual, often closely connected to President Tito. Krleža wrote about Tito that Tito was an illegitimate child of the Keglević who in another poem became. as a fictional character, the epitome of exploitation of the working class. He also briefly held the post of president of the Yugoslav writers' union between 1958 and 1961. In 1962 he received the NIN award for the novel Zastave, and in 1968 the Herder Prize. Following the deaths of Tito in May 1980, and particularly of Krleža's wife Bela Krleža in April 1981, Krleža spent most of his last year of life depressed and ill. He was awarded the Laureate Of The International Botev Prize in 1981. He died in his villa Gvozd in Zagreb, on December 29, 1981, at 1 am, and was given a state funeral in Zagreb on January 4, 1982. Gvozd is now his memorial center. 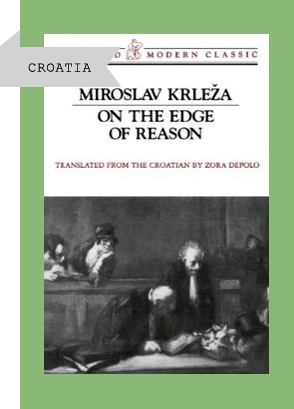 Miroslav Krleža's collected works number more than 50 volumes and cover all facets of imaginative literature: poetry, drama, short stories, novels, essays, diaries, polemics and autobiographical prose. He is the heir of two parallel traditions: a specifically Croatian one, where he conceived of his role in Croatian literature as the shaper of the national consciousness, or, in the words of James Joyce's Portrait of the Artist as a Young Man: "to forge in the smithy of his soul the uncreated conscience of his race"; the other is the broad European avant-garde movement. Krleža's formative influences include Scandinavian drama, French Symbolism and Austrian and German expressionism and modernism, with key authors like Ibsen, Strindberg, Nietzsche, Karl Kraus, Rilke and Proust. 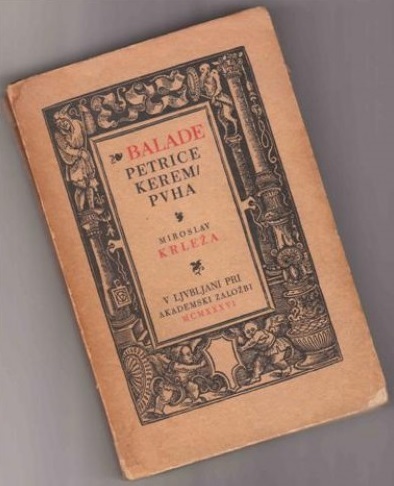 Although Krleža's lyric poetry is held in high regard, by common critical consensus his greatest poetic work is Balade Petrice Kerempuha (Ballads of Petrica Kerempuh), a visionary compendium of Golgotha Croatica, spanning more than five centuries and centred around the figure of plebeian prophet Petrica Kerempuh, a sort of Croatian Till Eulenspiegel. 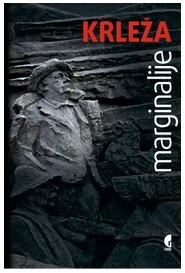 This sombre and highly complex multilayered poem evoking reminiscences of Bruegel and Bosch paintings, written in a unique hybrid language based on Croatian kajkavian dialect interspersed with Latin, German, Hungarian and the archaic Croatian highly stylised idiom, radiates universal dark truths on the human condition epitomized in Croatian historical experience. 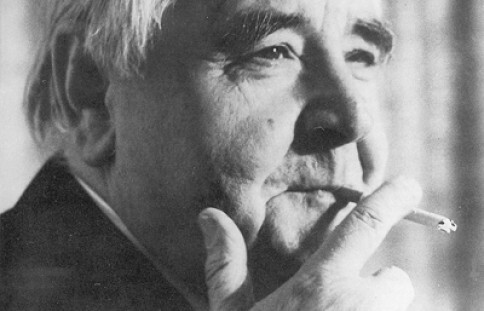 Krleža's novelistic oeuvre consists of four works: Povratak Filipa Latinovicza (The Return of Philip Latinowicz), Na rubu pameti (On the Edge of Reason), Banket u Blitvi (The Banquet in Blitva) and Zastave (The Banners). 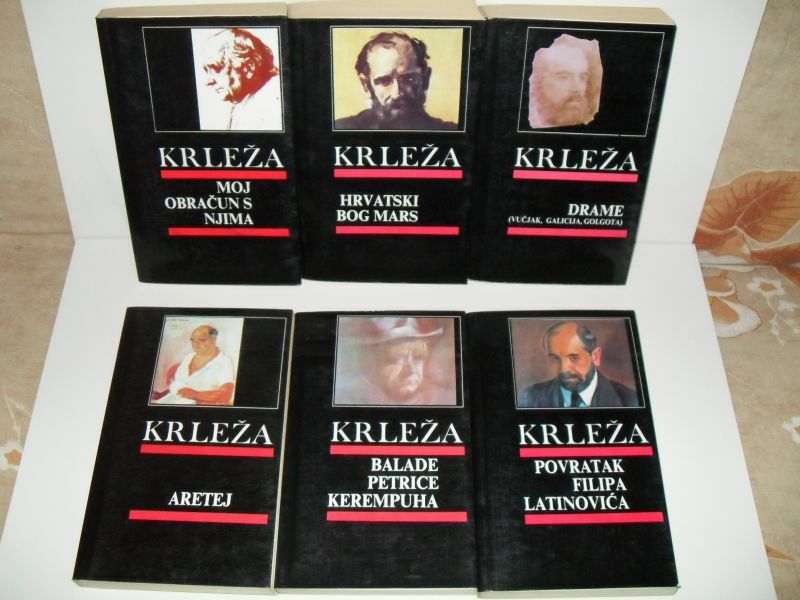 All four novels exemplify the characteristics of Krleža's narrative prose: highly eloquent, almost baroque style; expressionist innovations and techniques integrated in a mature authorial voice; numerous essayist passages that define these works as novels of ideas; a blend of existentialist vision and sharp consciousness of politics as the determining factor of human lives. 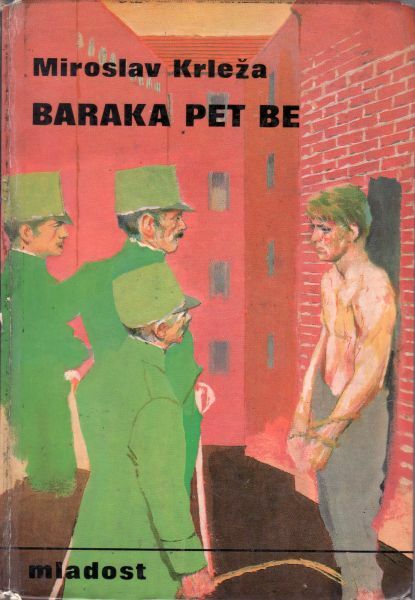 The first one is a novel about an artist, written in the Proustian mood, but forecasting the existentialist shadow, a novel written quite some time before Sartre's Nausea and yet unrecognized as such; On the Edge of Reason and The Banquet in Blitva are essentially political-satirical novels of ideas (the latter located in an imaginary Baltic country and called a political poem), saturated with the atmosphere of all-pervasive totalitarianism, while The Banners has rightly been dubbed a "Croatian War and Peace". 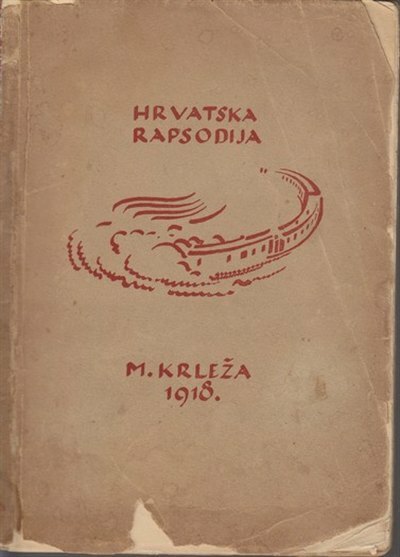 It is a multi-volume panoramic view of Croatian (and Central European) society before, during, and after World War I, revolving around the prototypical theme of fathers and sons in conflict. 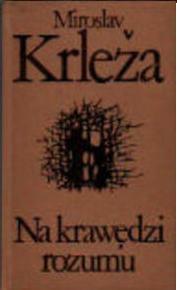 All Krleža's novels except the last one, Zastave (The Banners), have been translated into English. 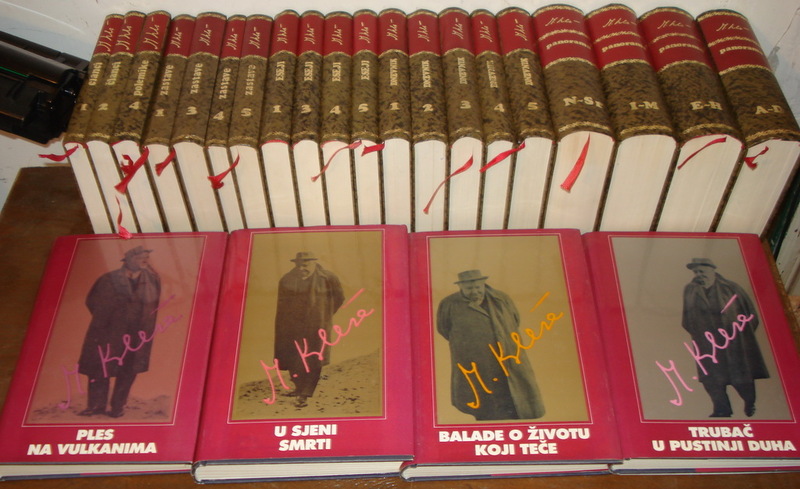 Krleža's essays cover more than 20 books of his collected works. Encyclopedic knowledge and polemical passion inform his meditations on various aspects and personalities of culture (Marcel Proust, Baudelaire, Erasmus, Paracelsus), political anatomies of history both contemporary and medieval (Deset krvavih godina (Ten bloody years), Amsterdamske varijacije), vignettes on art and music (Chopin, Grosz) - all is covered in this veritable anatomy of European history and culture. 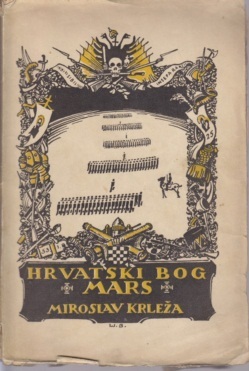 The most notable collection of Krleža's short stories is the anti-war book Hrvatski bog Mars (Croatian God Mars), on the fates of Croatian soldiers sent to the slaughterhouse of World War I battlefields. Krleža's main artistic interest was centered around drama. He began with experimental expressionist plays like Adam i Eva and Michelangelo Buonarroti, dealing with defining passions of heroic figures, but eventually opted for a more conventional naturalist drama, patterned along examples of mature works by Ibsen and Strindberg. The best known is his cycle dealing with the decay of a bourgeois family sunken in the morass of adultery, corruption, theft and murder, Gospoda Glembajevi. Also of note is Golgota, a political drama. As is the case in some of his poetry and short stories, in Golgota Krleža again deals with biblical symbols and figures, but in a very earthly way, leading towards a finale reminiscent of Strindberg's Father. 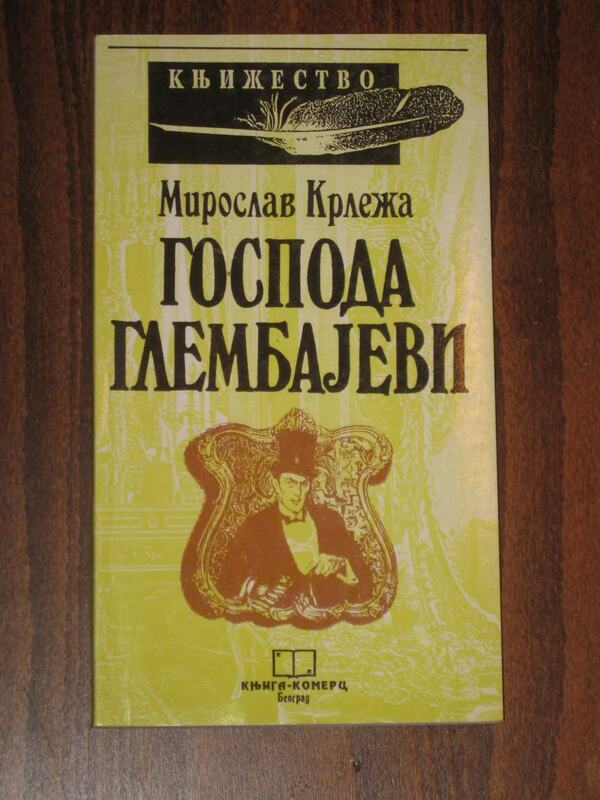 Krleža's memoirs and diaries (especially Davni dani (Olden days) and Djetinjstvo u Agramu (Childhood in Zagreb)) are fascinating documents of growing and expanding self-awareness grappling with the world outside and mutable inner self. 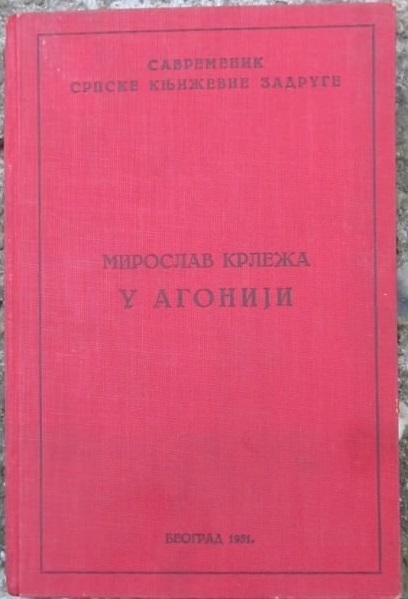 Other masterpieces, like Dnevnici (Diaries) and posthumously published Zapisi iz Tržiča (Notes from Tržič) chronicle multifarious impressions (aesthetic, political, literary, social, personal, philosophical) that an inquisitive consciousness has recorded during an era lasting more than half a century. Six of Krleža's books have been translated into French: The Burial at Theresienburg (short stories, Editions de Minuit, translated by Antun Polanšćak, preface by Leon-Pierre Quint, Paris, 1956. 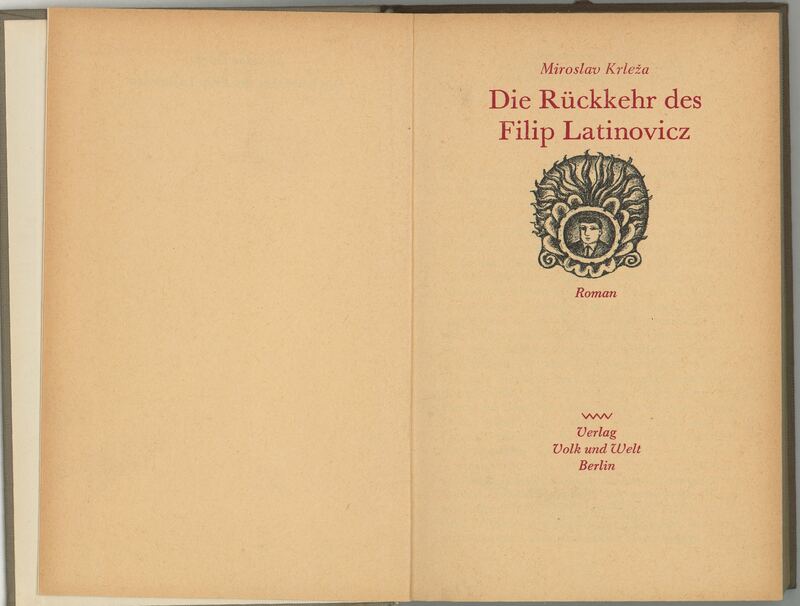 ), The Return of Philip Latinovicz (novel, edited by Calman-Lévy, translated by Mila Đorđević and Ciara Malraux, Paris, 1957. ], The Banquet in Blithuania (novel, edited by Calman-Lévy, translated by Mauricette Beguitch, Paris, 1964. ), I’m not Playing Anymore (novel, Edition de Seuil, translated by Janine Matillon, Paris, 1969. 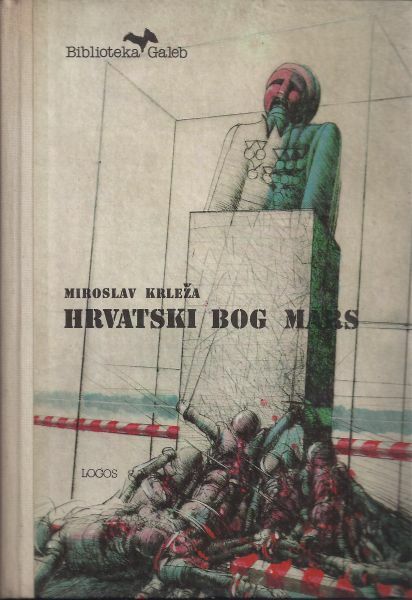 ], Mars, Croatian God (short stories, Edition Calman-Lévy, translated by Janine Matillon and Antun Polanšćak, Paris, 1971. 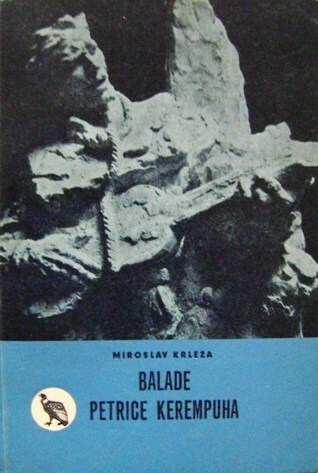 ), The Ballads of Petritsa Kerempuh (Edition: Presses orientales de France, translated by Janine Matillon). All these books were well received. 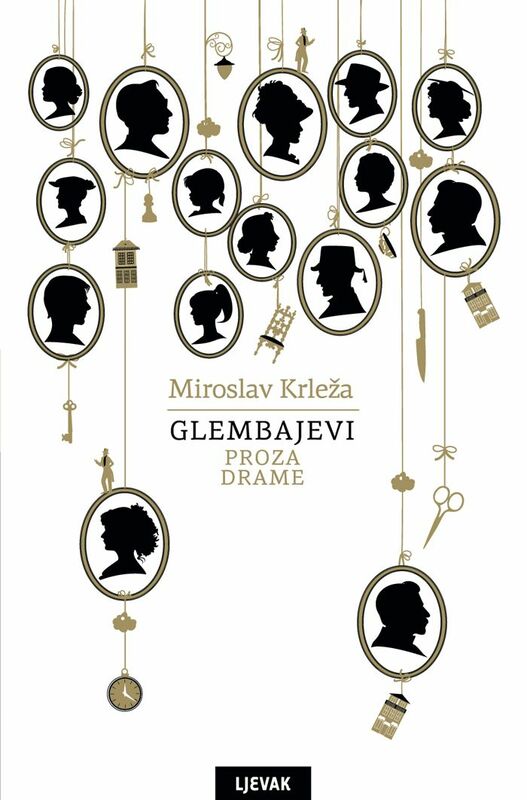 We give here some extracts from criticisms (Maurice Nadeau, Léon Pierre Quint, Claude Roy, Marcel Schneider, Robert Bréchon, Jean Bloch-Michel and others) who provide various insights into Krleža`s work. The article was originally published in Most/The Bridge literary review (number 3-4, 1979).